This is the only produce show in New York City, the 12th largest population center and ONE OF THE LARGEST PRODUCE-BUYING MARKETS IN THE WORLD. The strategic location is also pivotal for international trade of produce through seaports up and down the east coast, and with three international airports less than one-hour’s drive, buyers and sellers conveniently shuttle in and out from all corners of the globe. The New York Produce Show and its midtown Manhattan location afford a unique upscale metropolitan environment, perfect for networking, dining, entertaining, etc. In essence, though New York is a big city, there are ample opportunities for intimate high-quality relationships to be fostered throughout the event. Like our sister events – The London Produce Show and Conference and The Amsterdam Produce Show and Conference – there is tremendous emphasis on thought-leadership, continuous education and stimulating conversation throughout the conference. Attendees don’t come here to party; they come here to conduct real business, improve their knowledge base and make the industry a better place to sell produce and floral items to consumers! 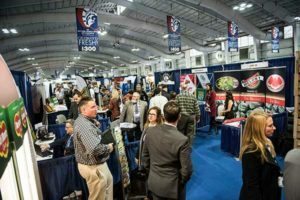 The central attraction of The New York Produce Show and Conference is the one-day trade show on Wednesday, December 12th. 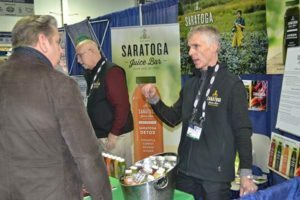 In a rapid-fire 7-hour period, over 5,000 produce executives from around the world – 40% with produce-buying authority – visit 400 exhibitors for 1-on-1 meetings. Exhibitors can easily set up the day before or the morning of the show and break down at 5 pm for evening events.